One month after launching its T-Mobile One Military rate plan, T-Mo has announced another initiative focused on the military. 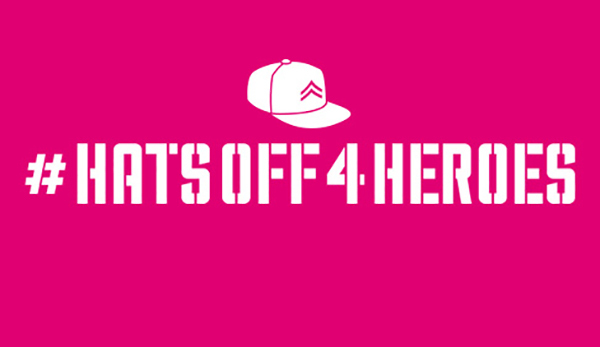 #HatsOff4Heroes is a program that’ll see T-Mobile donate $1 to Team Rubicon every time anyone uses the hashtag #HatsOff4Heroes on Twitter and Instagram starting today, May 14th and going throughout the MLB regular season. The hashtag counts whether you’re a T-Mobile customer or not, and T-Mo says that it’ll donate a minimum of $1 million. T-Mobile also notes that some messages with the hashtag #HatsOff4Heroes will be featured on ESPN during the 2018 Home Run Derby on July 16. Team Rubicon is a non-profit that deploys veterans in the U.S. and around the world to give help to those affected by humanitarian crises.